But a few days ago a group of information security specialists showed that there is no need to break into a closed door - there is a fairly simple way to bypass protection. 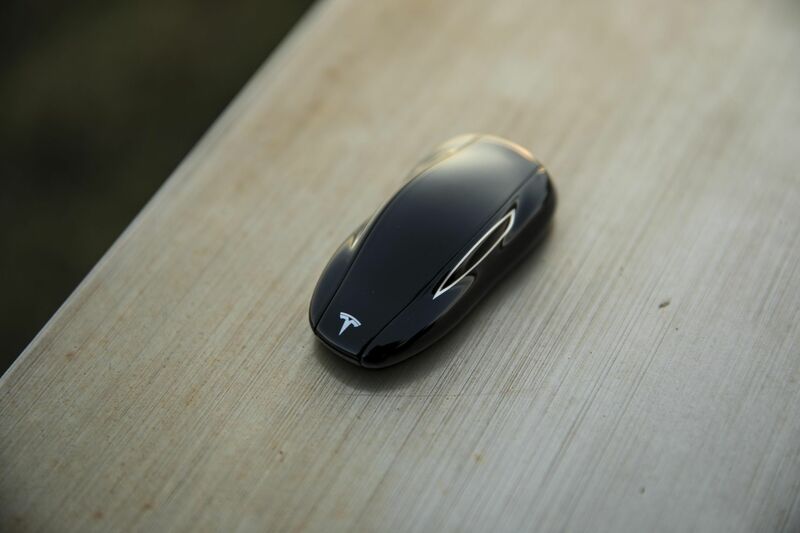 It's about the model Tesla Model S, a keychain which can simply be copied (not the keychain itself, but its digital imprint), open an electric car and leave. The method is not new, but few expected it to be applied to the latest developments of Tesla. introduced new systems type "anti-shattering" for Model S, which allow you to set the PIN on the car control panel. Without the correct code, the car simply does not go anywhere. According to representatives of Tesla, electric cars produced after June of this year already do not have the vulnerability, which was mentioned above. In particular, the company was able to improve the cryptographic protection of the key, so to decrypt the obtained data now, if possible, but not using the method described above. Nevertheless, network security experts believe that if the PIN is not installed, the car can still be hijacked - sooner or later the method of hacking and current cryptography will be developed. As for the key itself, the principle of its operation is similar to that of the keys of many other cars with an automatic ignition system. The key sends a radio signal with the code that is received by the car. Further, if the cryptographic key is correct, the ignition system works and the owner sits in the already wound up car. In 2017 year was , that the protection of the key is weak, the key is 40-bit, and it can be hacked. It is worth noting that to obtain this information enthusiasts had to spend nine months on reverse engineering. The researchers found that when you receive two codes from any of the keys, you can try to find the right key until the car opens. Then the researchers calculated all possible combinations of key pairs and created a database of 6 terabytes in size. With these data, hackers learned to select the required key in just 1.6 seconds. The craftsmen showed the possibilities of the developed method using the example of a proof-of-concept attack. The equipment created by them consists of such elements as Yard Stick One, Proxmark, Raspberry Pi minicomputer and a number of additional elements like portable HDDs and batteries. The first step is getting the ID of the Tesla target system. The car transmits the signal all the time. Then the researchers reproduce the signal within a meter of the owner of the machine with the key. The latter responds with a digital signal that is recorded. Well, the last stage is the selection of the required pair of keys in the database, which was mentioned above. Once the selection is completed, the car can be opened. Researchers reported on their experience of Tesla in 201? after which they received $ 1?000 as a bug bounty. Why was the message about the problem spread only now? The fact is that Tesla fixed the problem only in June, and only after that it became possible to disclose all the details. Well done! The new world are sitting tight for you, keep it up, sparkling like a star. Extremely brilliant news to finding out about you that you affirmation in EA sports where i need an essay written and it has been exceptionally respectable and feel glad. Visit impact and persevering is gone be winning part.